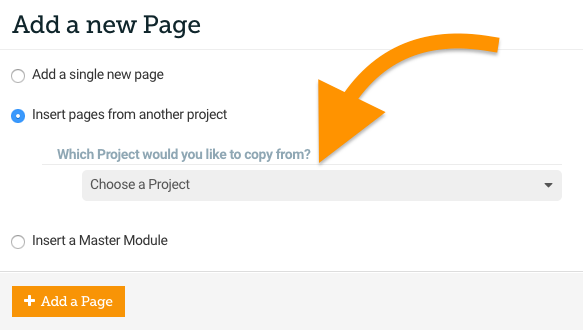 Choose the project which you would like to copy your Page from using the ‘Which Project would you like to copy from?’ dropdown. …the pages for the Project which you have chosen will be displayed, these each have toggles to the left. 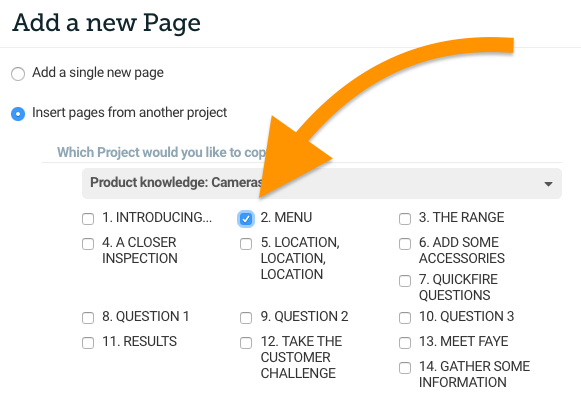 If you select a page’s toggle and press ‘Add a Page’ it will be added to the project. …and press ‘Add a page’. 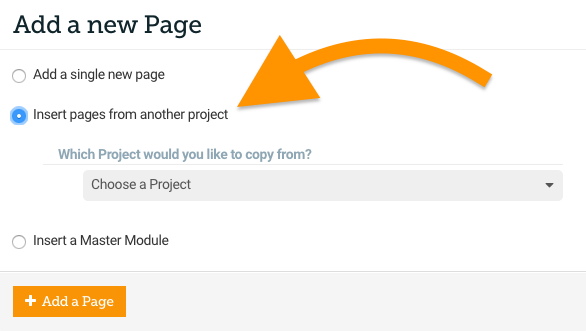 Please note that you can not add a page from a Project using a Legacy theme to a Project using one of our latest themes.